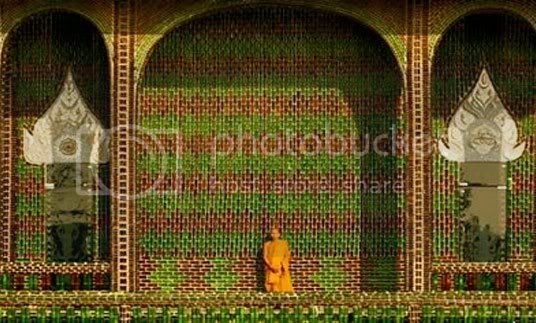 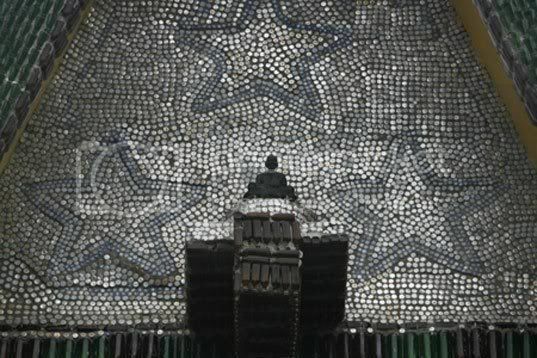 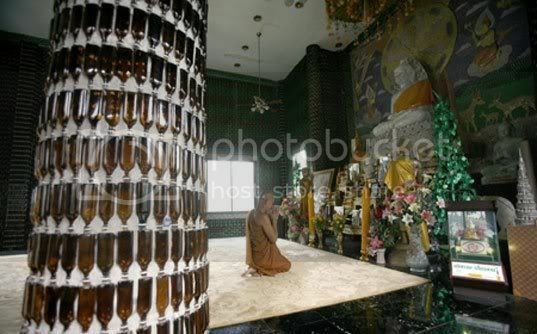 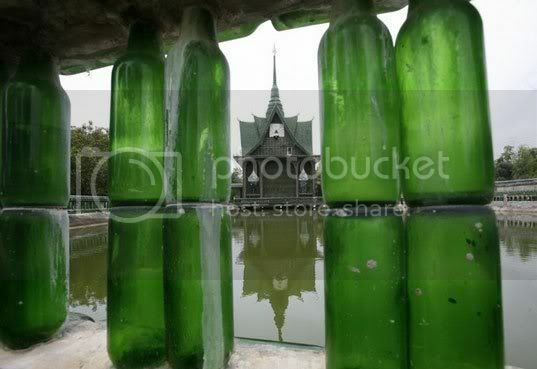 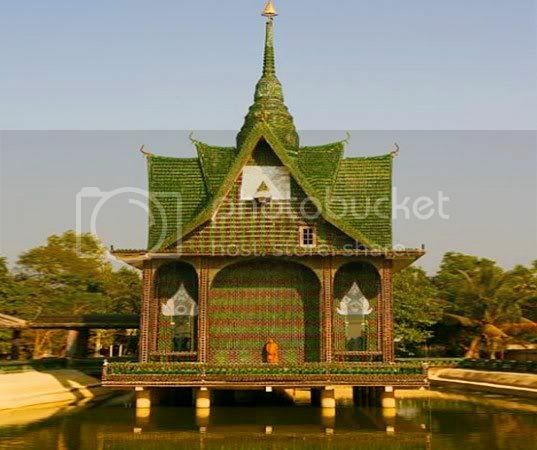 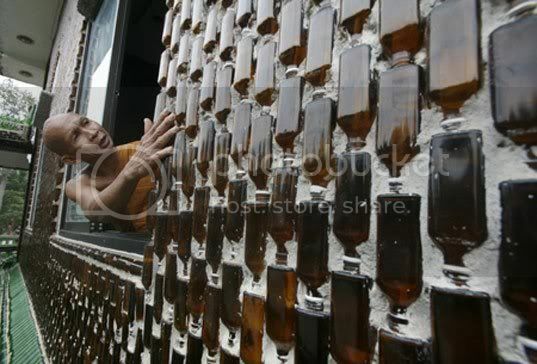 A Buddhist monk built the Wat Pa Maha Chedi Kaew temple with more than a million recycled glass bottles. 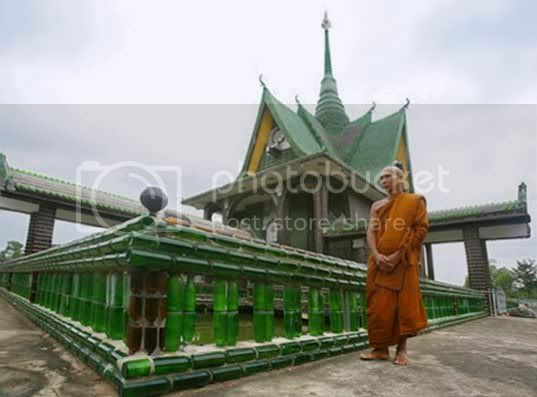 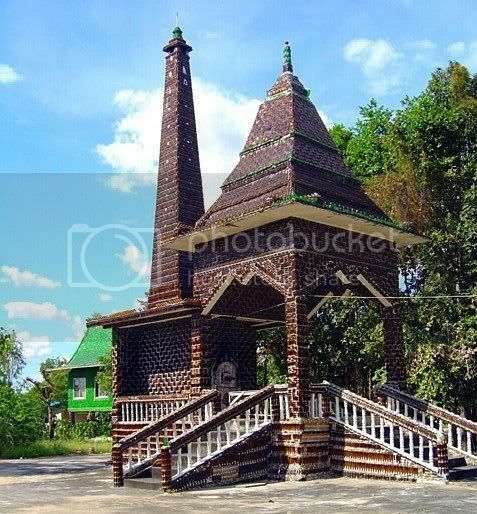 Temple is located in Thailand’s Sisaket province, about 600 km (370 miles) northeast of Bangkok. 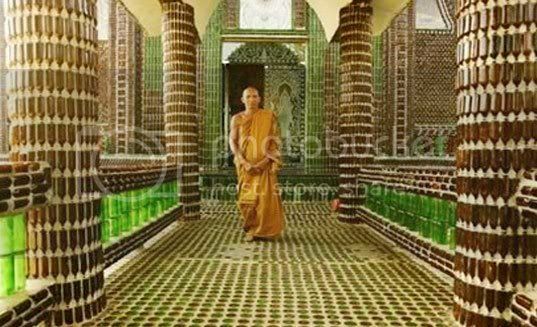 The Thai Buddhist temple has found an environmentally friendly way to utilize discarded bottles to reach nirvana — using them to build everything in its premises, from a crematorium to shelters and toilets.